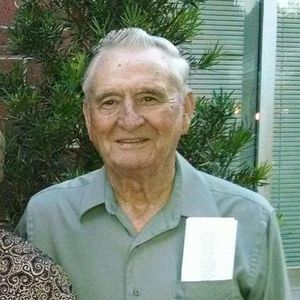 Billy Jackson, age 77, of Bladenboro passed away on Thursday, October 25, 2018. He was preceded in death by his parents: Salem Jackson and Emma Durden Jackson, his wife: Shelba G. Jackson, two brothers: Bobby and Doug Jackson, two infant sons, and one daughter-in-law: Suzie Jackson. Billy leaves behind son Dale Jackson and wife Ginger of Bladenboro; two sisters: Peggy Watson and husband Jimmy of Mockville; Brenda Griffin and husband Tony of Evergreen; one sister-in-law: Shirley Jackson of St. Pauls; two grandchildren: Billy Dale Jackson and wife Ashley; Brett Jackson and Laura and two great grandchildren: Bradley and April. Billy loved his family and his church but was devoted to the Lord most of all. He enjoyed spending time outside, especially fishing and hunting. Billy took care of his family and tended to his garden. He also loved bluegrass music. Billy left this world to be with the Lord but will forever live in the hearts of those that love him. The family will receive friends from 4-6 pm on Saturday, October 27th at Bladen Gaskins Funeral Home in Elizabethtown. A funeral service will be held on Sunday, October 28th at 3:00 pm at Bladen Gaskins Funeral Home with Rev. Buddy Cain officiating.